In opinion of Karen Jones, Head of FICC Technical Analysis at Commerzbank, notes the correction higher in spot could be coming to an end. 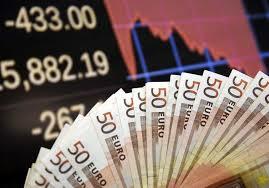 “EUR/USD remains above the 1.07 area. The Elliott wave count is suggesting that an ‘a-b-c’ correction higher is terminating (we have TD resistance circa 1.0780 on the 240 minute chart) and we look for the 1.0625 near term support line to be eroded - failure here is needed to add weight to the idea that the correction higher is complete and would cast attention back to the 1.0372/40 recent lows. Currently the market looks bid but we have a TD perfected set up on the daily chart and will try small short positions”. “We remain unable to rule out a move to 1.0820 50% retracement and 1.0875 the December high. This will make little impact on the overall bearish chart”.